SAHA - South African History Archive - Frances Baard speaks at the UDF launch. Frances Baard speaks at the UDF launch. 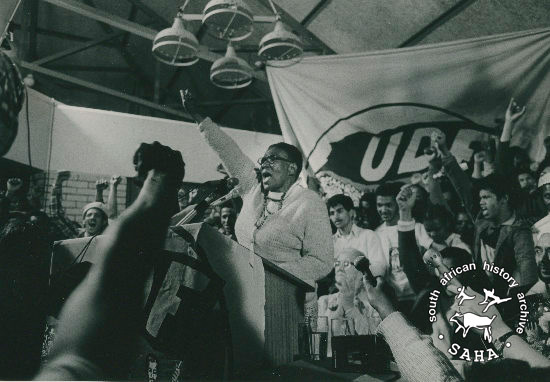 Title: Frances Baard speaks at the UDF launch.